Local knowledge will point you in the right direction when you’re hunting down a good night out. Tip-offs will lead you off the main streets to hidden lanes and alleyways, where there's an alternate universe of eclectic bars, lounges and late night restaurants. 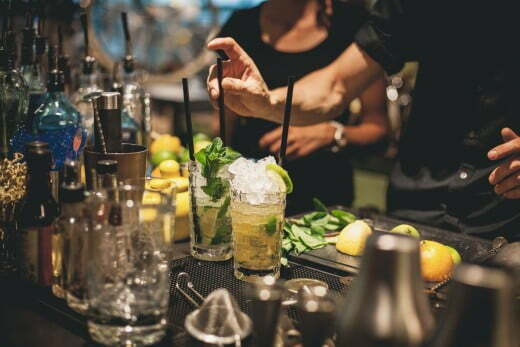 Look your bartender in the eye and ask where to go next, because those who work nights know the night life like nobody else. Craft beer is taking off in New Zealand and Wellington's leading the charge. Perhaps it's the inspiring landscape that's driving this rebellion from the mainstream brewery offerings, or maybe it's the prominence and celebration of creative expression throughout the city. Either way, those who love good beer are the winners. One important craft beef institution is Garage Project in Aro Valley. Committed to constant experimentation, this Wellington brewer has taken the city's bars by storm and you're able to find their interesting infusions on tap in heaps of places. You can also try them direct from the source by heading up to Aro Village and the iconic Garage Project HQ, where there's a cellar door for your tasting pleasure. 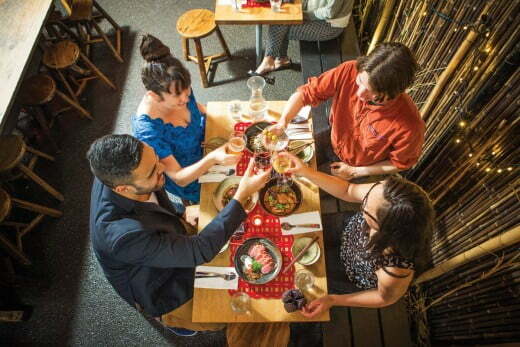 Cuba Street is the rapidly-beating heart of Wellington's nightlife scene; everything branches off from there, with the bulk of the best bits tucked away. Alley cats will love discovering the lanes, home to some of the coolest spots. A night out in the capital should begin with a civilised glass of wine at the delightful Olive. Step out of the hustle of Cuba and steep yourself in their tranquil courtyard, which offers a quick escape from city life. Grab a glass of wine from the outdoor bar, order a share plate and settle down amidst flickering candlelight and ambient world tunes. A great night out begins and ends in Cuba Street, the rapidly-beating heart of Wellington's after dark scene. Meander off the grid to find Havana, you won't miss the iconic original buildings that create an intriguing juxtaposition of old and new. They have a drinks list to be envious of and a dinner menu to match. Several nights a week you'll find live music pumping, and Havana mixes it up with a range of genres from house to electro and jazz. After a big night out, when you wake too late for breakfast and just a little early for lunch, brunch is a solution that Wellington does ridiculously well. Once again, Cuba Street's magnetism will draw you in. Check out the menu at famous Floriditas, which serves delectable dishes from a charming 1930s-style space. Another favourite is Fidel's, where choices include Cuban burritos, waffles and other tempting meals that fit perfectly with your mid-morning appetite. For a dose of fresh sea air with your brunch, make your way to Oriental Bay. Enjoy a brisk stroll to one of several excellent eating places along the seafront. Once you've refuelled, turn your back to the ocean and hike to the summit of Mount Victoria. The views are stupendous. Glover Park image courtesy of WellingtonNZ. ; Dragonfly restaurant image courtesy of WellingtonNZ. 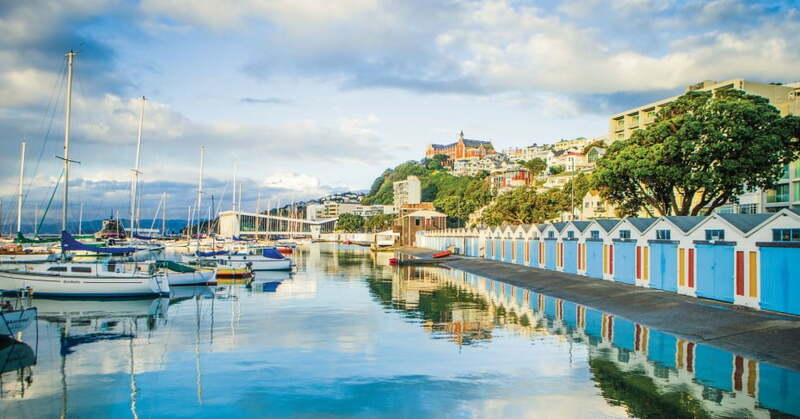 ; Oriental Bay boat sheds image courtesy of WellingtonNZ. ; Oriental Bay image courtesy of Wellingtonnz.com; Cable Car image courtesy of WellingtonNZ. ; LUX Light Festival courtesy of WellingtonNZ.